Can we try a little acceptance? Remember the old saying ‘Sticks and stones may break my bones, but names will never hurt me’? It’s hard being plus-sized, and times don’t get any easier when younger generations seem to get harsher. When you walk into a store, and hear people talk about you, your size and the way you look, it doesn’t hurt any less than when I was a kid and all my playground to high school bullies would comment on my size over and over again. It hurts and the flashbacks aren’t any more fun than experiencing it the first time. 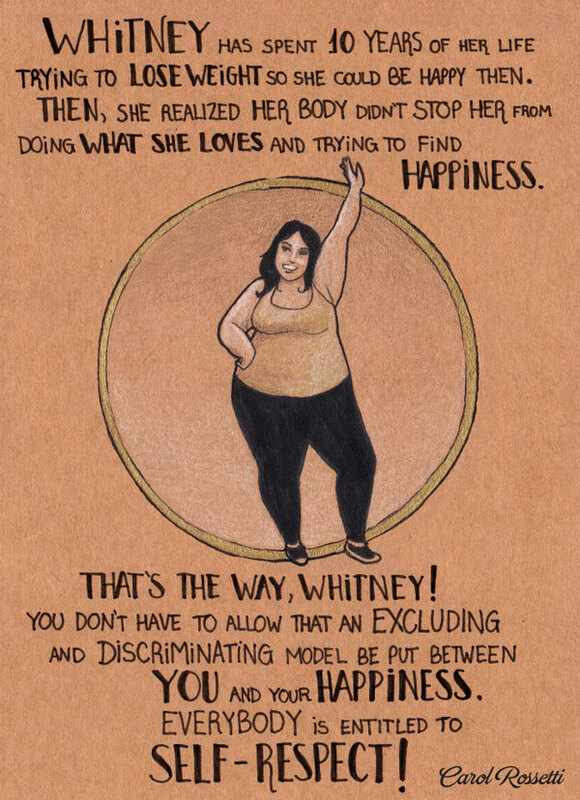 I am trying and working on loving myself, but when I hear from four teenage girls who I don’t even know, “Can she get any bigger?” I think it’s gone too far. When you tell your child, while I am looking through the plus-sized section, not to eat too much because you don’t want to look like her, well I just say that goes too far, and although I don’t make a comment, and just try and brush it off, it still gets to me. It still hurts. I just want to say one thing when people out in the world make me feel like a tiny insignificant speck of nothing – Screw you. I like food, and although I am working on cutting down the fat, I love good, delicious, healthy-for-you food, and didn’t get this way by eating fast food. I got this way by having poor eating habits, not eating choices. I got this way by being severely depressed, wanting attention, and getting it through the wrong means. And yes, I am paying for it now, but I didn’t do anything to your child, you, or anyone around you, so why must you comment? Why comment on people’s lives, their weight, or anything else about them? Why can’t we all just be nice to each other regardless of what they look like, and why the hell can we not appreciate who they are? That person who you are talking about? Yes, they may be overweight, but they can still hear you! That person may be wearing outrageous colours, but maybe it makes them feel good, and what right do you have to comment on how they look? Granted, I am a firm believer for dressing according to my body size, but just because I don’t think I can’t make a tube top work, doesn’t mean anything about you! It means that I can’t flaunt all of me yet. I will get there, and I will learn to love my body, but it doesn’t happen overnight and weight loss doesn’t happen in one swift moment. Trust me, I know. 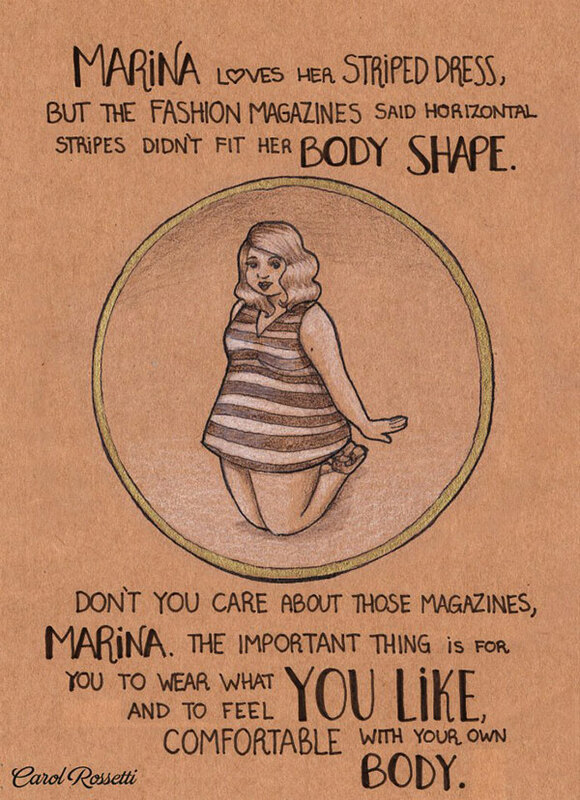 But one thing that would probably make everyone’s lives a ton easier is to stop judging based on appearance. Stop belittling other people because you think it makes you sound better than you are. One day those teenagers are going to learn what it feels like to be on the other side, and the next time I may actually say something. That mom in that store may one day have an overweight child and will learn to accept their faults and love them regardless. I may not be able to teach you these lessons, but I hope one day we all can learn to accept faults in ourselves, because that’s where we should be looking first. I do want to end this blog post on a high note – that no matter what I think of myself and no matter what anybody says, I know Joe thinks I am beautiful; he says it to me every morning when we wake up and every night before we fall asleep.